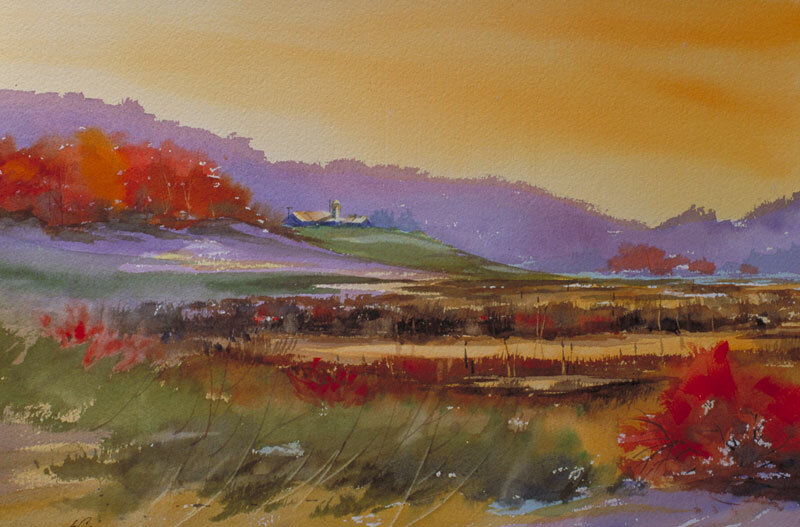 Thomas Freeman Original Watercolor Painting: "Autumn Landscape"
I'd been doing a lot of somewhat subdued paintings and longed to do something really colorful. I put together this rural fall scene as a result. The sky has that orange cast seen in autumn and the fall colors abound. My art critique group's reaction to the bright colors was, "Wow! ".